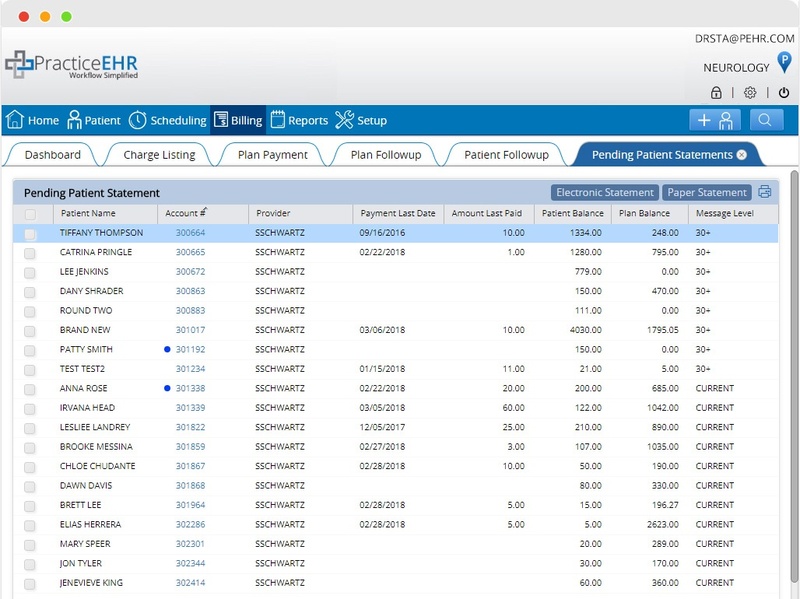 Practice EHR provides practice management easy to understand patient statements resulting in cost savings and time. Statements can be customized per practice requirements. Statements can be printed and mailed or printed on-demand to hand over to the patient during office visit. The statements can be emailed to patients saving time and cost. The statements list co-pay collected, current balance, and any carry-over balance. * Additional cost of per Electronic Statement will be applied.